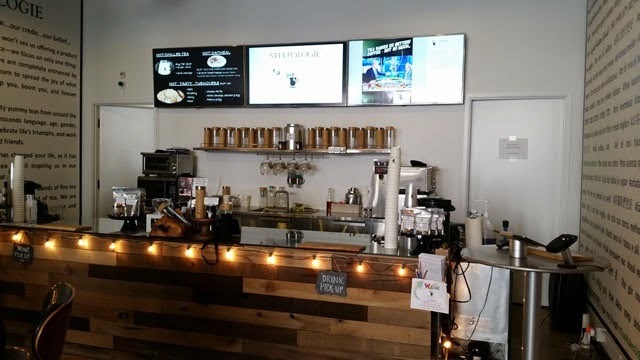 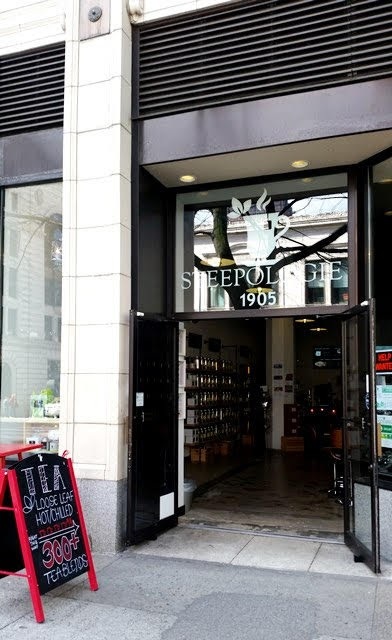 Steepologie has been serving tea in downtown Seattle for almost two years from their flagship store located near the corner of 4th Avenue and Stewart Street. 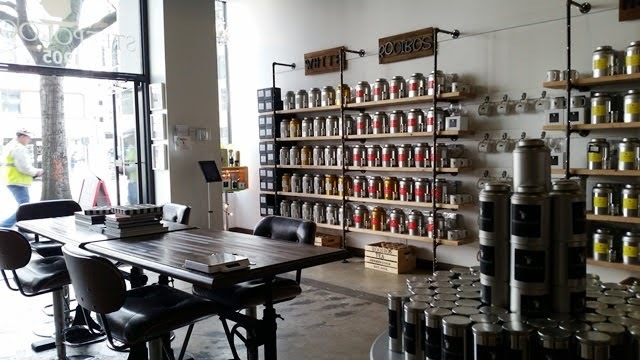 The tea shop is filled with natural light and minimal furnishings, providing a sense of openness that belies the size of the space. 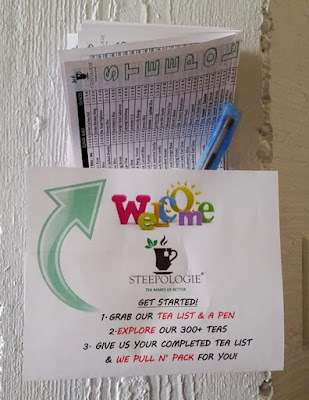 Staff are welcoming and ready to provide information and assistance during your visit. Steepologie offers a selection of over 300 loose leaf teas and tisanes, as well as teaware. 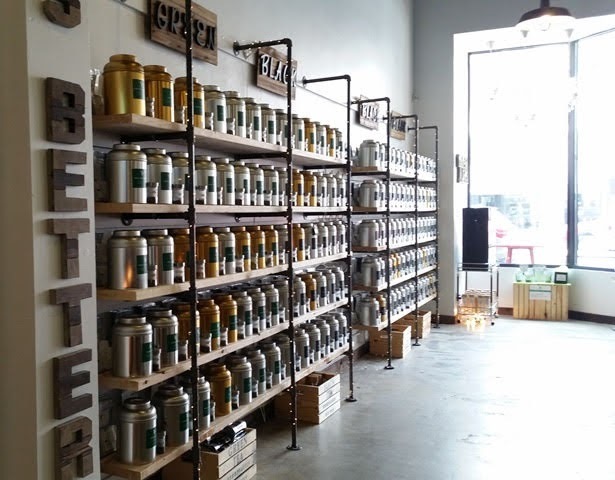 Samples bottles are available so you can see and smell each blend. White dots on canisters indicates true teas (unblended, no herbs or other ingredients have been added), green dots indicate that the tea is certified organic, and gold canisters indicate rarer teas. Once you've taken in the decor and breathed in the aroma, pick up a tea list and pen and start shopping. 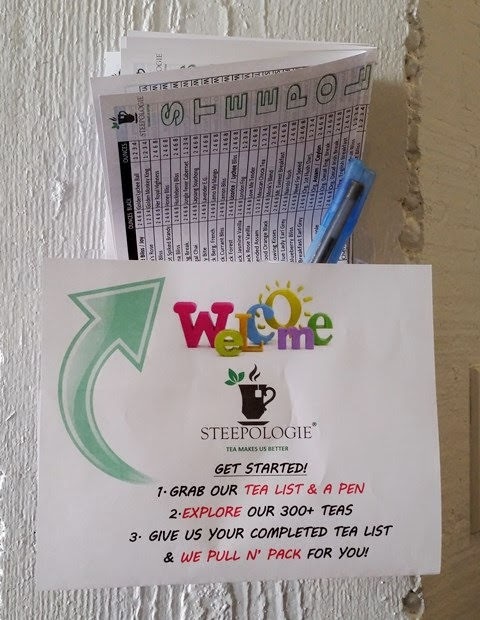 When you're ready to check out, provide the list to one of the staff and they'll pack up your tea. 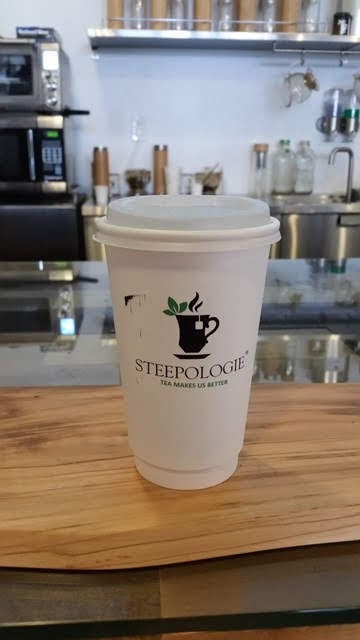 Steepologie will also prepare any of their teas hot, iced, or as a latte. 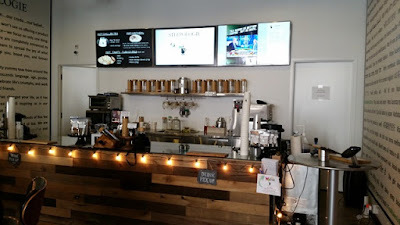 I couldn't pass up a hot cup of their Russian Caravan Smoky for the road.